Looking for that one magic trick for weight loss success? Losing weight and keeping it off is all about lifestyle changes — and sticking to them. It can mean a few small changes and can be as easy as cooking simple meals at home with these delicious superfoods. Superfoods are so super because they are low in calories, fat and sugar — and can be turned into delicious meals. They also contain “magic molecules” like antioxidants, flavonoids, and other compounds that help with everything from fighting cancer to shrinking fat cells. 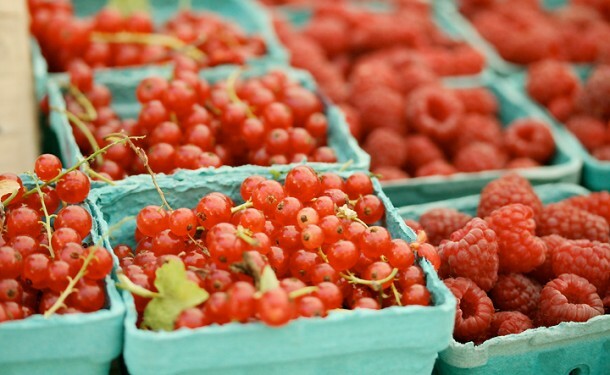 Savor and cook with this list of amazing superfoods that you most likely already know and love! 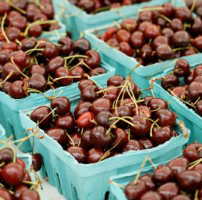 Cherries have a tart, sweet, irresistible taste that comes in a low-cal juicy package (one cup is about 90 calories). Used as a instant remedy for gout, cherries have other health properties because of the phytonutrients located in their skin pigment. These powerful antioxidants also found in high quantities in blueberries are being studied for their ability to protect the heart, fight diabetes, calm inflammation, and even help you sleep. Cherries are also rich in anthocyanins which boost fat-fighting enzymes that help oxidize fat in the body and stop fat cells from expanding. Turmeric, the yellow ground spice you find in curry power, is a superspice when it comes to health and weight loss because of its active compound called curcumin. Hundreds of studies have been completed on its effectiveness against cancer, skin ailments, and lung health, just to name of few. 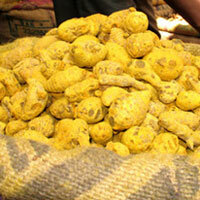 But when it comes to the battle of the bulge, turmeric extract suppressed fat tissue growth in rodent models. So will you swoon when you taste turmeric for the first time? Probably not, since turmeric has a stringent, tart flavor that’s hard to love despite its rockstar qualities. However, using it in small amounts in your favorite recipes is easy since it comes in powdered form. And if you’re a curry fan then turmeric (that gives curry its characteristic bright yellow color) is most likely already in your spice cabinet. Try adding a teaspoon of turmeric the next time you make chili or sprinkle some on a fresh mango with a squeeze of lime, then throw it it on the grill. Or, this weekend, have a movie night and serve spiced popcorn! Another great recipe with turmeric is this curry chicken salad… it’s a low-carb lunch perfect when wrapped in kale leaves (another super weight loss food). I consider kale an über-superfood because it also contains very special array of compounds that fight disease, beyond the vitamins and minerals I already mentioned. The fiber binds to bile acids and whisks fat and cholesterol out of your body so the fat doesn’t get absorbed. 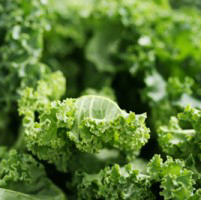 Raw kale still has this cholesterol-lowering ability — it just doesn’t work as well. In addition, Kale contains over 45 different flavonoids, including kaempferol and quercetin. And when it comes to cancer, it has amazing risk-lowering benefits especially for five different types: bladder, breast, colon, ovarian, and prostate cancer. Researchers and nutritionists credit the risk-lowering benefits to the compound class of isothiocyanates (ITCs) and glucosinolates. Another prized compound called sulfurophane helps fight high blood pressure and can kill the Helicobacter pylori bacterial strain, which is responsible for stomach ulcers and gastric cancer risk according to Dr. Drew Ramsey. 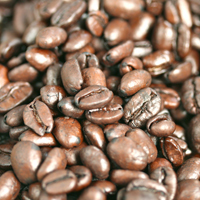 Coffee “beans” are actually the dried berries of the coffee plant. They are naturally very high in antioxidants but get this — you can only get those benefits from drinking regular coffee since the antioxidants are washed away when the beans are decaffeinated. So how does coffee stack up to other antioxidant-rich foods? 1 cup of coffee has about 1,300 mg compared to 1 cup of strawberries at 5,900 mg. It doesn’t seem high, but if you’re not a fruit fan and have a few cups of joe a day, coffee could be a viable source of antioxidants for you, and may even extend your life. To be on the healthy side, I suggest you have both! New studies show that enjoying a few cups of joe daily may also protect against type-2 diabetes, Parkinson’s Disease, liver cancer, and even improve your memory. For weight loss, the caffeine in coffee works like a natural appetite suppressant. So how does coffee stack up to zero calorie sodas? Apart from its incredible antioxidant load, coffee is naturally calorie free, rich tasting, and free of artificial colorings and preservatives that you’ll want to avoid. If you want to keep it zero calorie, but like something sweet, try flavoring your cup with 1/4 teaspoon vanilla extract or stevia. So, if you’re still wondering about that one magic trick for weight loss success, it’s cooking more at home!